Physical distributor and specialist Limited Run Games has updated its release schedule, locking in the exact pre-order dates for two upcoming Switch titles. 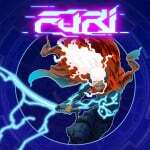 The first game Furi will become available on 14th September and the second game Golf Story is reportedly arriving at the end of this month on 28th September. Furi's physical release will include interior case artwork as well as a full-colour manual and can be pre-ordered until 28th September. Furi was released earlier this year on the Switch eShop and developed by the French-based indie studio, The Game Bakers. The title takes place on a colourful planet and is a fast-paced action game. 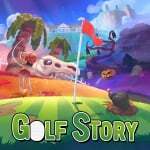 Golf Story is a 2017 eShop release by Australian developer Sidebar Games and is exclusive to the Switch. It mixes the RPG genre with golf. This news follows the highly anticipated classic edition and collectathon bundle of Yooka-Laylee going on sale yesterday, with these versions of the selling out in a matter of minutes. Pre-orders for the standard version are still available. Do either of these physical versions interest you? Have you bought any existing Limited Run Games? Tell us below. Will the people who miss out again be Furi-ous? I might grab Golf Story. Maybe I'll finally play it. I'm terrible. No collector's edition for these ones? I'm hoping to get golf story. I'll probably pick both of these up. Any game I own digitally, and can get it physically to free up space, I'll probably snag. I want golf story for sure! I will get both just like I get all their switch releases... And I've learned to not focus so much on food or gas for my car, I call it the "Limited Run Games Diet". It's working wonders so far. I think it's stupid how they do things. They should take orders first, then make that many. That way everyone that wants one can get it, no one gets upset when they run out in minutes, and they'll make more money overall. But hey, I don't run a business, so what would I know in using basic common sense in a business plan. With full retail releases I always prefer to go physical, but I personally just don't understand the appeal in purchasing short indie experiences physically. Furi pre-orders end on September 28th 11:59PM Eastern time, whilst Golf Story pre-orders open on September 28th 10AM Eastern time. I'm hoping to get both. I did this with West of Loathing and Dust An Elysian Tail together. Originally I was going to order Golf Story together with Yooka-Laylee, but the classic edition and a discount code changed that. @Not_Soos Especially not at these prices. Give me a physical copy of Okami in the USA and we’ll talk. I would imagine Golf Story will be worse than Yooka Laylee. It's a defining Switch game for collectors. @DoomTurtle it's only when you are told that you may not get one that you suddenly want one, or worst you need one. Some people bid for stuff on eBay and bid higher than the shop price just to get the feeling that they have won. PSA: For Nintendo Switch games, Limited Run do pre-orders. It's not like you have to wait for a certain time, and if you miss it, it's gone. Right now for example, you can pre-order Dust: An Elysian Tale. Everyone keeps saying that you can preorder for a set amount of time. So did Yooka-Laylee only have a two minute preorder time? I don't understand how they sold out in a couple of minutes if they accept preorders for weeks. What am I missing here? @DoomTurtle The COLLECTOR'S edition with extra stuff sold out fast...but the regular game is an open preorder. That's how they've been doing it for every Switch game...NLife just can't be bothered to clarify that point. I'm playing through Furi now and it's fantastic, highly recommended if you like the No More Heroes boss battles, Bayonetta or bullet-hells. Definitely on the prowl for Golf Story!! @SuperCharlie78 They normally announce the collector's editions very last minute. Already own golf story. such a good game! Yea I love Nintendo Life but they really need to be clear with these Limited Run articles. The Collector's Editions only have a certain amount of copies so them selling out crazy quick is a given. All regular editions of Switch games have open preorder periods usually for 2 weeks. So if you want the goodies...be really really quick. If not you got time to get yourself a copy. I don't care about CE's so I love it, just order when I get paid. C'mon NL, clarify your articles! Great so i can bundle my pre order's of yooka - laylee and furi with golf story and save on shipping cost! @TadGhostal Some sell out a lot faster than others though, and Yooka-Laylee was definitely a speedrunner. Last week, I forgot to check for Dust until two hours late and still got it no problem. Yeah you can look eBay and see where the CE of the games go or even the “regular” physical. They buy and flip them for more prophet. And they sell. Look at sold and you’ll see the prices. I got it now, thanks everyone! Golf story was amazing for anyone who missed it digitally. I highly recommend it. Not an rpg fan but it even convinced me! I love golf games though so maybe rpg fans who don't like golf games will enjoy this. I haven't picked up Golf Story yet, so nabbing a physical would be pretty rad. I’ll grab golf story. As long as it’s not delayed maybe I’ll grab Furi as well on the 28th so I can combine shipping. Wouldn’t pay the extra $15 shipping just for Furi though. @SuperCharlie78 I’m sure there will be collectors edition, all other games have. Note they aren’t all as nice as the Yooka Laylee one in my opinion. @Smigit Not EVERY game gets a CE...Oxenfree actually skipped it. But that's the only Switch title to do so thus far, so it's still more likely than not to see them come up later. Pretty sure you need to purchase both games within 3 days of eachother so if you wanted to do the regular copies you could do Yooka and Furi or Furi and Golf Story but not all 3 and CE usually sell out too fast to combine them unless you do it with a regular edition. @tguk911 yooka-laylee is up untill october 7 and furi untill september 28th golf story opens september 28th. So i should be able to order all 3 on the 28th. I really don't see the point of physical editions for cheap indie games that barely take up any space, but whatever. @JayJ - For a lot of people who prefer physical media it's more of the timeless piece to owning the game. You can be the best person out there to maintain all your downloaded games long after the Switch is no longer supported, but even one happenstance can erase all of that. With physical some can be recovered, for a certain price (that then goes into considering value to the person). Digital games don't have such luxury. 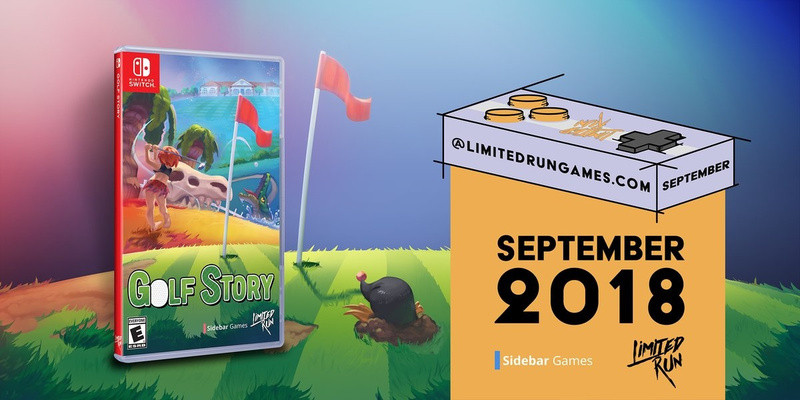 For those asking, Golf Story will have a collector's edition. They'll announce details the week of its release. As for their regular edition versions, as others have said its an open preorder so you have two weeks to lock in an order (some cases they'll have it open a full month). Oops I didn't realize Yooka's end date. For some it's people who like collecting for others it's for people that don't like purchasing digital games and prefer buying physical. I don't expect you to understand the reasoning just know there are many reasons otherwise it wouldn't be so popular with more and more titles getting physical releases and similar companies popping up. @paihia Just sounds like yet another rare collectors market that does the vast majority of people no good. Hopefully when Night Trap arrives they will have at least taken the time to write a bit about the history on the back cover? They'll probably have CE which will in turn ruin my credit history as well. I might grab Golf Story as I enjoyed that a lot. I did grab Yooka Laylee (CE) and Dust the other day which I got Yooka Laylee as a backer already and would have backed this option to start off with. @PixelStef They are apparently putting it on their store when they are ready. @GrailUK thanks a lot, would not have known that they offer this otherwise, the games are still sealed and I did not notice right away.